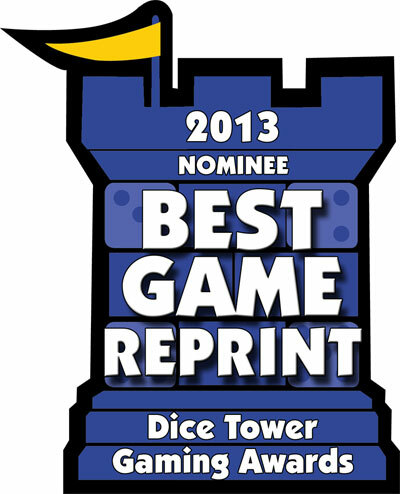 The Dice Tower Network has just announced the nominees for the best games of 2013. A jury of more than sixty Dice Tower staff, prominent bloggers and reviewers went through all the games released in English during 2013, and chose the five best in each category – with ten games nominated for best game of the year. The new edition of Inkognito, published by Ares Games, was nominated in the "Best Game Reprint" category. The winners of each category will be announced on July 3rd, at the Dice Tower Convention in Orlando Florida. Created by Alex Randolph and Leo Colovini, Inkognito was first published by MB in 1988. The game is set during a Venetian carnival, in a romantic age of spies, microfilm, hot-air balloons, and fast speed-boats. 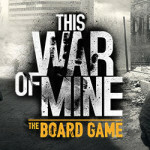 The new edition by Ares Games had the changes limited to those strictly necessary, to avoid breaking the charm of the original game. A new logo was designed, and the lay-out was revised for both rules and game box, giving a fresh new look to the beautiful art. All the components were revised, including the game board, a beautiful map of Venice, which was improved to be even more clear and usable. In the gameplay, some small but critical tweaks were done, closely with the author Leo Colovini, as a simple but important change in the random movement system, based upon the Phantom of Prophecy, to open up new game strategies and twists, and a new variant to make Inkognito playable by 5 players. To see the complete of nominees for the Dice Tower Gaming Awards 2013, click here or see the video of Tom Vasel, president of the network, explaining more about the voting process and nominations.